Starmus 3 full schedule announced! The third Starmus Festival is fast approaching, just six weeks away now. It will take place again in the Canary Islands, on Tenerife and La Palma, and will bring together a spectacular assortment of scientists, musicians, and artists to celebrate the cosmos. The tribute this year will honor the magnificent career of Stephen Hawking. I will be there and will look forward to seeing many of you. Please see the following for the program announcement . . . The program of the 3rd Starmus Festival (June 27–July 2, Tenerife & La Palma, Canary Islands, Spain) will bring together eleven Nobel Prize laureates in different fields: David Gross, Joseph Stiglitz, Adam Riess, Brian Schmidt, Robert Wilson, François Englert, Eric Betzig, Carol Greider, Elizabeth Blackburn, Edvard Moser and May-Britt Moser. NASA scientists Alfred McEwen and Joel Parker will talk on various exploration missions in the solar system (Rosetta, MARS Reconnaissance Orbiter, Europa Imaging System, and New Horizons). Astrophysicist Steve Balbus, Barry Barish (a pioneer of the LIGO project) and Chris Rapley (climate scientist) will talk on the hottest topics in astrophysics and the world's climate. Brian Eno, keynote speaker of Starmus III, will talk on the topic, “At the Crossroads of Art and Science,” as well as creating a musical ambience at the star party. Legendary space heroes Alexei Leonov, Rusty Schweickart, and Chris Hadfield will take part in the festival. A 108-minute roundtable discussion, with some of the STARMUS speakers, will take place inside the dome of the giant GTC telescope (the world´s largest optical reflector) at Roque de los Muchachos Observatory on the neighboring island of La Palma. 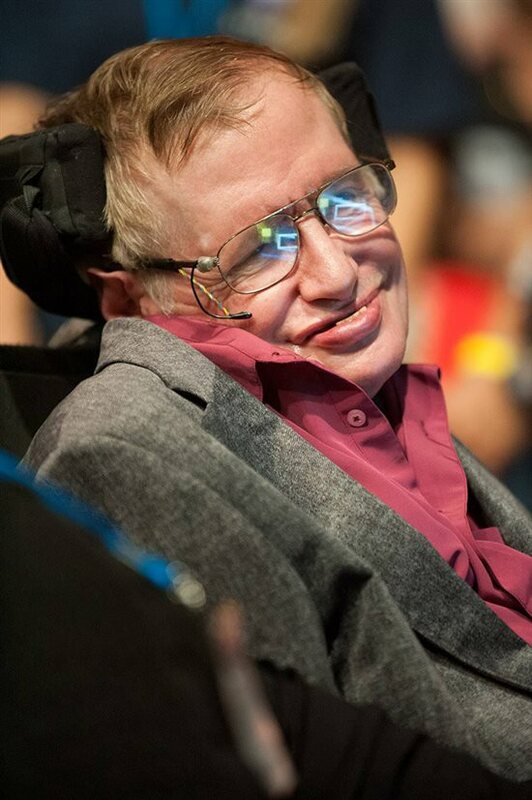 A great innovation at STARMUS III will be the award of the “Stephen Hawking Medal For Science Communication”, presented by Stephen Hawking himself, in recognition for contributions to science popularization in the areas of Science, Art, and Cinema. Garik Israelian, founder and director of STARMUS, said, "STARMUS III invites, in this unique event, science experts and amateurs alike, along with the merely curious to plunge into the important threats and discoveries the world is facing at present." Check out the full program now at www.starmus.com. Follow Dave Eicher on Twitter, and please check out his Author Page on Facebook.